§ What happens to freedom of choice ? To us Hinduism is a way of life ~ it is with deep sense of anguish that we received the verdict which contravenes the beliefs and conventions followed for thousands of years in Sabarimala overruled by a Court judgement ….this is no comment on the judicial position or questioning the verdict, yet – I like many millions of others believe, that such beliefs are supreme and are outside the purview of Courts (as has been held many a times, when it comes to questioning of practices of others religious beliefs.) Why should a Court interfere in religious matters. 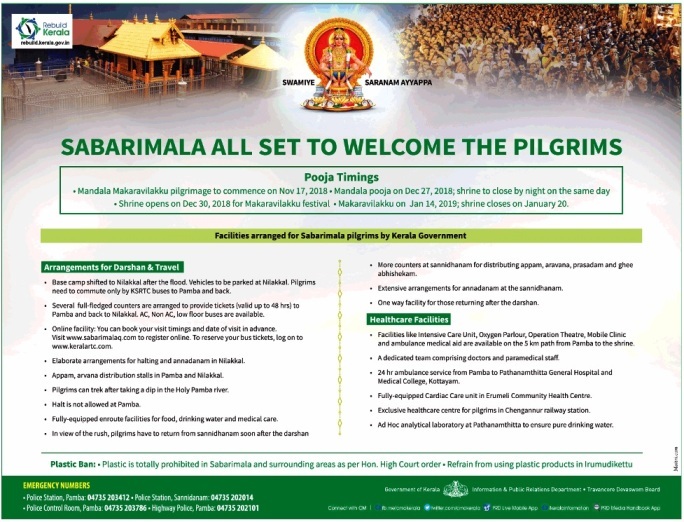 Every religious place have their own rules, restrictions – in Kerala in most Temples, males are not allowed with upper garments (shirts) – can someone argue in a Court that this is discrimination ? Factually, there are clubs in Cities that bar men without shoes and pants !! 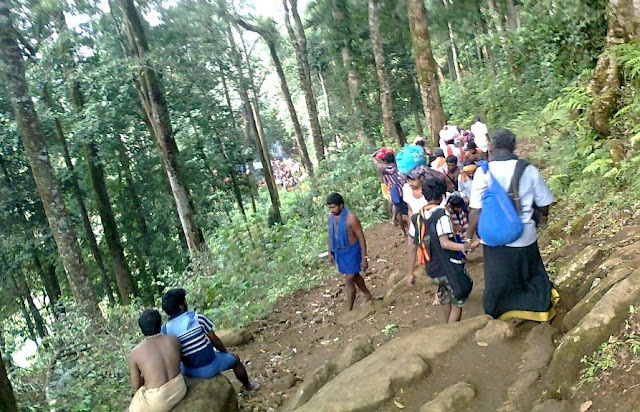 The holy Sabarimala draws millions of people – Lord Ayyappa, the presiding deity of Sabarimala had his human sojourn at Pandalam as the son of the King of Pandalam, known by the name of Manikandan, who found him as a radiant faced infant on the banks of the river Pampa, wearing a bead (‘mani’) around his neck. 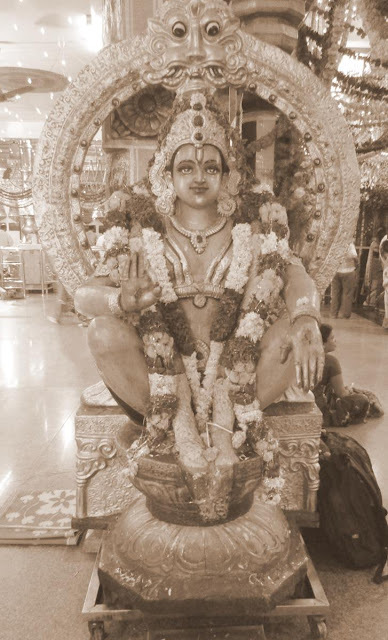 Manikandan’s feats and achievements convinced the King and others of his divine origin. 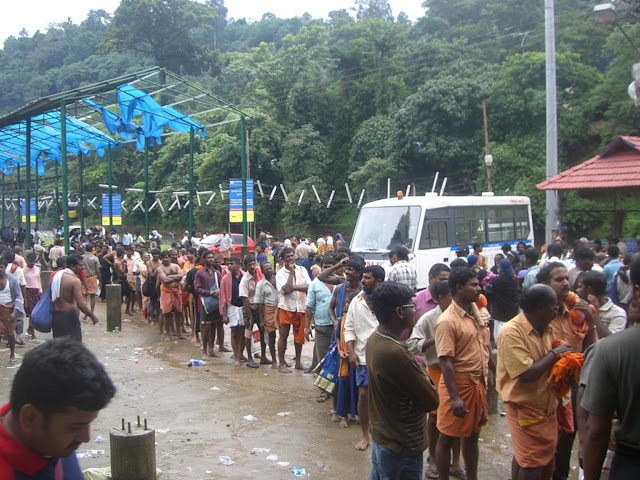 Lord Iyappa is the Lord of masses - the cult of Sabarimala broke the ‘divide’ created internally within the Hinduism and also created by ‘’divide and rule’’ model of invaders. 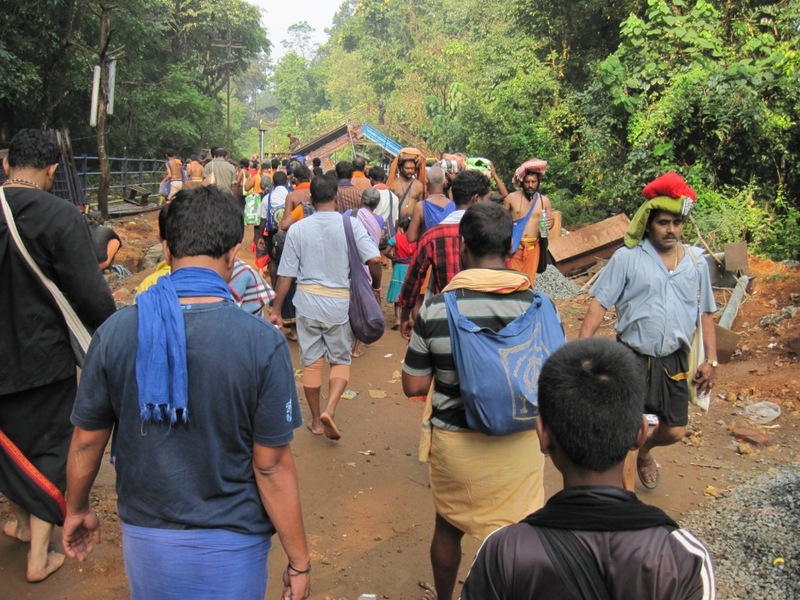 During the Sabarimala season, you can see millions of people wearing coloured dhotis, wearing the mala and sandal paste on their foreheads. They observe strict ‘’brahmacharya’’,strictly follow food restrictions, live a dharmic path. These *Iyappa samis* mingle freely with each other without any discrimination based on caste, age, social status etc etc.. address each other ‘Sami’. Faith has been deeply rooted in society's political and moral behaviour. Any challenge to that faith, offends followers and believers, seriously threatens the very fabric of religious beliefs. 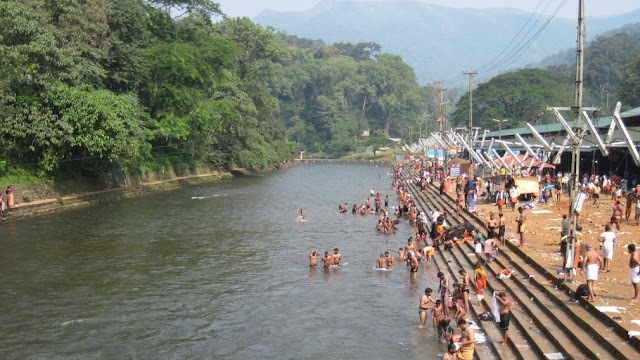 Life is all about perceptions – to some fools, who say that they are seeing goons put mala for a short while and go to Temple, you are trying to see microscopic minority – I have friends who at the age of 50 have visited the holy shrine close to 200 times. I know friends who follow absolute vratha, eating rice food once in the day, take fruits in the night and nothing in the noon, those who walk kilo meters every day and go to many temples when wearing malai. 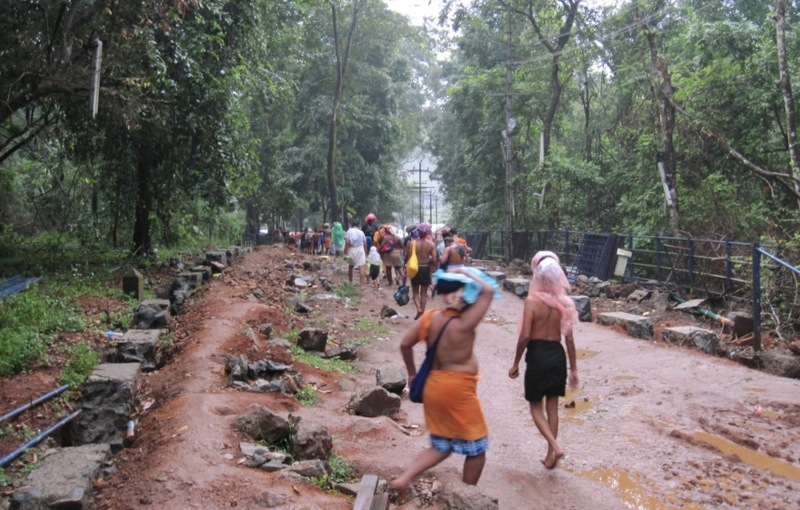 In between a handful of unworthy people get so much of Press attention – they are called social activists – a woman details her plan of visit to Chief Minister Pinarayi Vijayan and CM arranges all facilities while crores of devotees have even their basic amenities stopped. 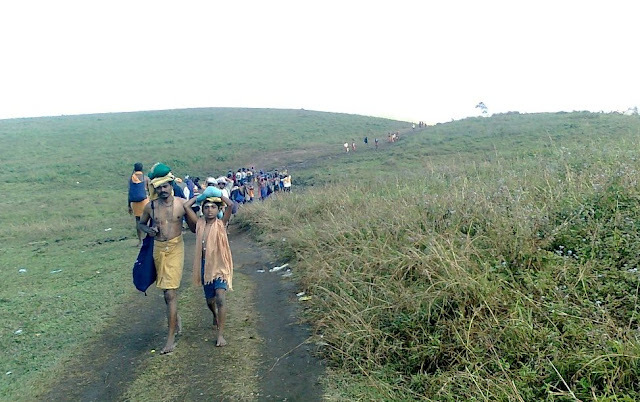 The devout is made to walk another 30 kilo meters from the base camp or travel by paying money to rickety Govt buses – but the Govt tries to arrange airconditioned coach and earlier ensured another woman walk in full riot gear of Police – whose money and whose authority ? the woman who tries media attention and promptly gets them too writes to CM, the entire Police force welcomes her and she makes a strange request that Kerala government should bear all her expenses ! including her travel, accommodation and meal ~ what a democracy !! She for sure learnt something ~ there weren’t too many people, around 1,000, according to media reports – but they were determined and unrelenting. As the self-acclaimed Bhumata Brigade’s Trupti Desai landed at the Cochin International Airport in the wee hours of Friday, claiming to enter Sabarimala temple, she was met with a strong crowd of devotees. 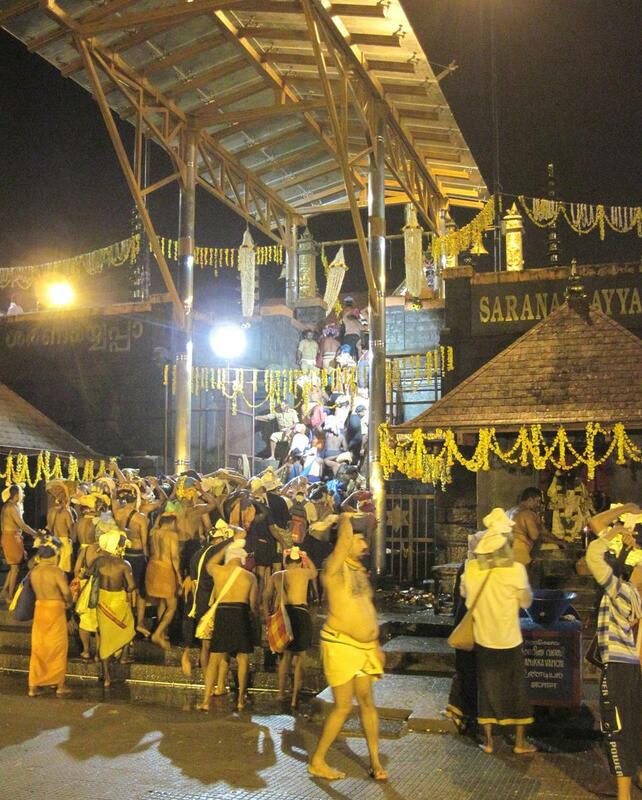 Chants of Ayyappa rung the air, reaching feverish highs and electrifying the crowd into louder slogans. An old man asked security officers what this was all about, and after he was explained to, he looked in Trupti’s direction, slapped his forehead in disdain and walked on. The Sabarimala crowd is not air-travellers, they travel in packed trains, buses, vans, two-wheelers, have darshan at scores of Temples on the way, they undertake strict vradham of self-restraint, walk on foot close to 100 km, their belongings are the holy ‘irumudi’ and perhaps changeover dress .. .. nothing much – and primarily it is masses, not rich and privileged. They take whatever food is available and keep trekking, sleeping in open in the forest way that leads to temple, take holy bath in Pamba and rush to their Lord. At the airport, it was the best possible exhibition of a peaceful protest and the intent was quite stern and clear. One of them holding a placard stating, ‘Trupti, you are wrong this time’ in loud red letters, said, “I am here to put pressure on Trupti to leave the state and not create a riot-like situation here. I want people across the country to understand. This is about our faith.” His wife, a devotee who was ‘ready to wait’, said that there was no threat to Trupti’s life. “Even if there is, it’s her own doing. She should not have come,” she said calmly, adding that all of them are here to protest peacefully. Until late in the morning, Trupti and her aides, who were holed up at the airport amidst tight security, were adamant that the government provide her protection and transport. Earlier in the morning, the cab unions had thrown their hands up and said they won’t provide transport for her to travel. When police officers started telling media that they were absolutely ready to provide her protection, but were under no obligation to provide transport and accommodation in the state, their strategy seemed to become clear. Meanwhile, leftist spindoctors had also started creating the narrative online that Desai was an RSS plant sent to destabilise the state, possibly providing cover to the government in their decision to not support Trupti all the way through to Sabarimala. After a 15-hour-long wait at the airport, Trupti Desai decided to give in. She had been adamant for a long time, resorted to her own ways of diverting stating the lie that Ayyappa devotees resorted to abuses and threats, and she would return with guerrilla tactics ! ~ tactics right, the other ?? Sad, that a few women of opposite faith, calling themselves social activists, throw out all rituals, try to walk to temple for a simple FB post ‘I was there’ – and there are ulterior motives for the fascist Govt and others in calling holy Sabarimala a secular temple and everyone has a right to entry. Just for a moment, can they think of toeing the same line for all other places of worship in the same State, nay will they allow all people to visit Communist citadels. Time will make them realize – never play with God – never hurt sentiments – Lord is mightier. Swamiye Saranam Iyappa !